George Hendrik Breitner was a Dutch painter and photographer. A peer of Vincent Van Gogh's, he often sketched along side him in the poorer areas of The Hague. 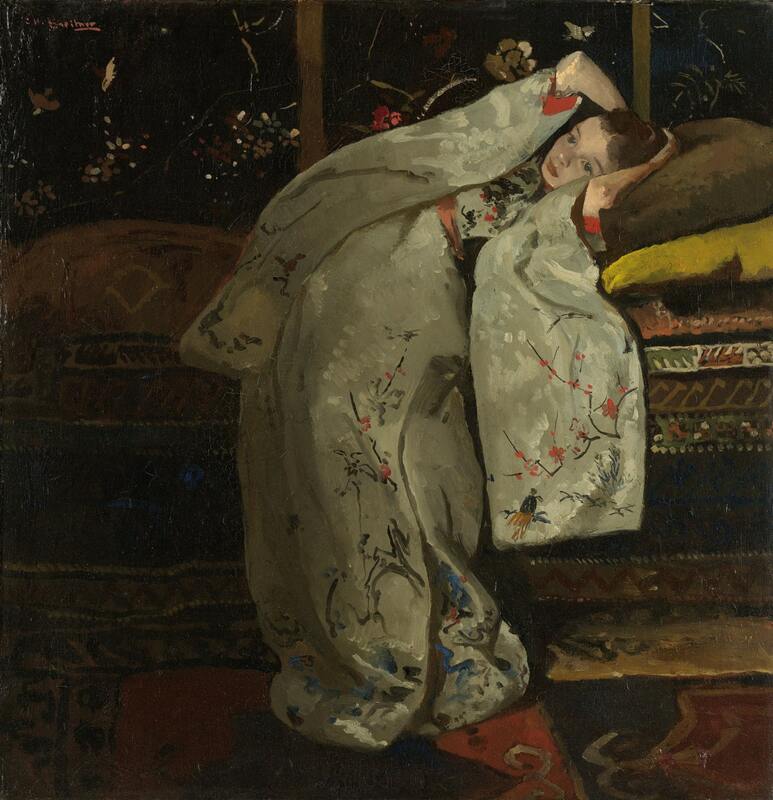 'Girl in a White Kimono' is a captivating piece and considered a high point of Dutch Japonisme.